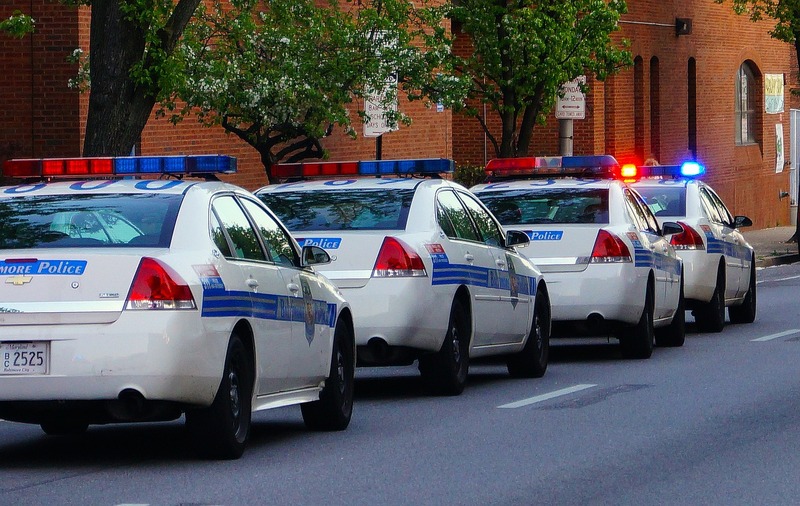 Like many major metropolitan areas, the city of Baltimore has had a major police brutality problem. The recent police shooting in Ferguson as open the spotlight on the issue across the nation. In Baltimore, police brutality has been an ongoing issue for years. Only recently have officials started to address the problem after many families began protesting the deaths of loved ones that were victims of police brutality. Some of the more visible accounts have included the deaths of Tyrone West, Anthony Anderson and George King. Others have included beatings or attacks like the case of Kollin Truss (Baltimore Sun, 2014). Countless hours of meetings, protests, official letters to call for investigations and the released video from the Kollin Truss case has finally resulted in several visible steps to address the problem. 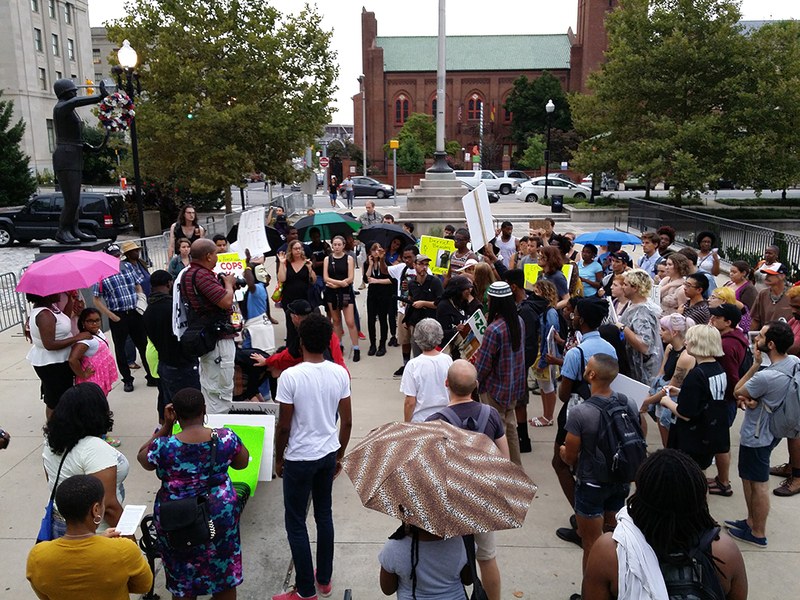 These steps include a possible Department of Justice investigation and a new plan or report to deal with police brutality. Unfortunately, the city has a history of either implementing empty reforms or simply pushing the issue under the proverbial rug. Hopefully there will be real steps taken that ensure that police brutality will be effectively monitored and addressed with real investigations. What is being touted as a major plan to deal with police brutality, the Police Commissioner Batts and Mayor Rawlings-Blake have produced the report entitled “Preventing Harm”. In the Baltimore Sun article “Baltimore officials offer plan to curb police brutality”, the authors, Luke Broadwater and Mark Puente, describe the report as a 41 page document detailing a number of potential solutions that could be utilized to reduce the incidents of police brutality. Some of the solutions put forward include a call to increase internal affairs staffing, conduct a study on wearable cameras, utilizing more tasers, changing the current laws that sometimes protect rogue officers and a proposed new citizen’s police academy. While many of these options have potentially positive effects, there are many questions about their effectiveness in implementation. In many ways this report has a number of fixes that appear good on paper. The problem is that the solutions might not work as effectively as there are promised. For instance, the proposal of utilizing wearable cameras could be a good option. It could bring greater accountability and a more candid view of how police interact with people on the streets. Unfortunately, there could also be several problems with their use. Would such video recordings be made available to the public? Who would have access to the video recordings? Would civilians be able to request recordings or would they be buried under “ongoing investigations” that seem to go one forever? There is also the issue of privacy and surveillance. Would such recordings be abused or mishandled? These problems would need to be addressed fairly quickly if they were to be implemented effectively. While the plan to implementation can be a good step in creating an atmosphere of greater accountability, would all officers wear them? Several proposals have been put forward that limit their use to either new recruits just graduating from the police academy or phasing in their use. There would need to be a full implementation if they were to be utilized fully. Simply creating a lengthy timeframe for implementing such devices could render their use moot. Another problem is the solution potentially utilizing more numbers of tasers. For some the idea of non-lethal type weapons might appear to be an effective way to reduce police killings. The reality is far different. There are a number of cases including the death of Tyrone West and Kollin Truss where tasers were used as essentially devices of torture. Do we really want to have police officers going around essentially electrocuting residents, even those that are not charged with a crime? Tasers are also potentially deadly, even some people with healthy bodies. In many instances, officers tend to overuse tasers with the belief that they are “safe” or at least leave no marks for potential investigations. Far from reducing incidents of police brutality, tasers could actually increase them. They could also increase the fear factor and divide that the community has for the police as this time. Beyond these problems, there is also a lack of in-depth review of how current police brutality cases are handled. There is a critical need to reform the current civilian based review board system. According to the article, “Baltimore police review board called irrelevant, ineffective”, the review board is often understaffed with vacancies, has its recommendations ignored by the police and constant complaints about its inefficiencies (Baltimore Sun, 2013). While the current Mayor and Police Commissioner have taken steps to reform the review the board, there are still some critical changes needed. One is a streamlined process to ensure easier reporting of police related crimes. Another is greater transparency for the general public. Many cases are often kept hidden or secret from the public eyes during review board investigations. Then there are the problems where cases were either ignored or swept under the rug. Even when the review board acts on a case, it doesn’t necessarily bring charges against officers, making it harder for disciplinary actions to be enacted. A second problem is the lack of action by the state attorney’s office. Even in cases where victims were killed by the police without cause with a great deal of evidence, there is often little effort to prosecute the officers involved. In the case of Anthony Anderson, police officers physically threw the man onto the ground killing him with dozens of onlookers. His death was even ruled a homicide by the coroner’s office. Yet none of the officers were punished. With the case of Tyrone West involving multiple officers beating the man to death over an unwarranted traffic stop, none were ever held accountable. Worse, there were attempts at stonewalling the investigation over his death, delays in performing the autopsy and questions about the overall transparency of the investigation process itself. Essentially the report ignores this problem of a lack of prosecution by the state’s attorney. Even when there is evidence to support the complaint against an officer, there are often little in the way of justice involved. A third issue is the problem of transparency. While the mayor and police commissioner promise greater accountability, will there be real reforms for transparency? Only in the last year or two have official statistics been opened to the public. These have included reports of police misconduct, legal settlements for victims of police brutality and disciplinary reports for rogue officers. Unfortunately, there is very little that has been released about past incidents of police brutality, making it harder to discern the real facts about the issue in Baltimore. A full level of transparency would be another good step for helping to address the issue of police brutality as well as helping to re-establish a great trust of the police in the community. To be fair there are some steps that could be positive changes for the police department. Commissioner Batts would like to reform state level protections that often cover the actions of rogue police officers. Currently, officers can be suspended with pay during any investigations. Unless they are formally charged with a felony, police officers cannot be dismissed or punished within the police department. Batts would like to see a change in this process and bring greater power to discipline officers within the police department. Perhaps the biggest positive outcome of the report is the simple fact that city officials are finally addressing the problem of police brutality with real reforms. In numerous times over the city’s history, there has been little real reform to address the problem. Bringing the issue out in public debate, making everyone aware of the problem and hopefully talking about real plans to reform the current system are positive steps in the right direction. The question is whether these steps are enough. In some ways they may not be with further actions needed for change. Perhaps on a deeper level, there is a foundation issue that is not always talked about. That is the issue of trust between the police and the community. Part of this problem comes from historic problems of abuse, misconduct as well as racial profiling. There is also the loss of trust that occurred with the implementation of O’Malley’s “Zero tolerance” which resulted in thousands of arrests for crimes that were either dismissed or ultimately considered trivial. This environment, coupled a history of police misconduct, helped to create the current environment where there is little trust with the city police. While Mayor Rawlings-Blake has stated her intentions to change this issue of trust, it will take further actions to do so. In the end, reducing the incidents of police brutality may take more than what was detailed in the steps revealed in the “Reduce Harm” report produced by Police Commissioner Batts. It’s going to take both concrete actions as well as ongoing efforts to help change how police brutality is handled in the city. Only by making investigations more transparent, changing how officers are disciplined and implementing effective public review polices can the problem start to be addressed. While technological aids such as wearable cameras can be beneficial, they are not necessarily the ultimate answer. There is no quick fix to the problem. Our city requires an ongoing effort that will take years if properly implemented. Only time will tell if the city can rise to the challenge and ensure a proper policing system that does not victimize its own citizens. 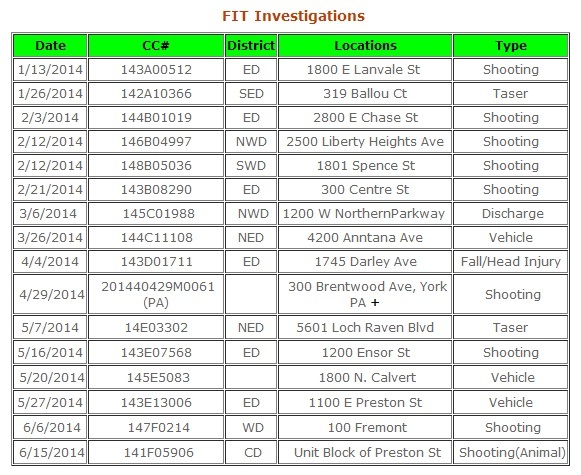 “FIT Investigations” were made public on June 1, 2014 on the Baltimore Police Department website. It was part of the long anticipated reforms that were recommended according to: “Public Safety in the City of Baltimore: A Strategic Plan for Improvement” a quarter million dollar bill for taxpayers that is supposed to “provide guidance for the future, setting forth the vision for policing Baltimore, identification of the primary strengths of the department that must be reinforced and protected, the areas for improvement, and the implementation strategy for moving forward with vigor and commitment.” It was completed in November 2013 and went into effect January 2014. However if you take a closer look, you will notice the Baltimore Police have failed to report numerous incidents that the Baltimore Public Safety Collective have recorded, and in some cases neither has the Baltimore Sun. – February 26 – While off-duty, a 27 year old Baltimore Police officer, Alec Taylor, had strangled to death his girlfriends 7 month puppy after it had defecated on the carpet. – April 26* – 16 year old Taekwon Ford (also known as “Pug” in the documentary “12 O’clock Boys“) was knocked off his dirtbike by a Baltimore Police officer in his vehicle, and then tased. The officer involved has not been identified. – May 19* – An unidentified Baltimore Police officer shot two pitbulls, wounding one and killing the other, after they bit at an 11 year old boy. – June 13 – A steer that escaped the slaughterhouse was shot and killed by an unidentified officer. – June 14 – After Officer Thomas Schmitt had captured a 7 year old Shar-Pei that had gotten loose from the yard, partner Jeffrey Bolger slit the dogs throat–instead of simply returning Nala to her owner. The killing was reported 5 days after it had occurred. – June 15 – Officer Dean McFadden drove upon what he perceived as a shoot-out between two men, so he shot and killed one, Eric Harris (30), and let the other escape. Two days later, Baltimore Police announce that the gun Harris was allegedly in possession of was in fact a replica. Initially it was reported that: “Detectives found a gun on the man who was shot and bullet casings from both men’s guns on the street, police said.” but two days later it was announced that Harris in fact had a “true-to-life replica gun.” Which makes us wonder… because replicas fire blanks. – June 26* – An unidentified Baltimore Police officer shot and wounded a dog. The incident was the second “police-involved shooting” of a dog that went unreported by both the Baltimore Police and Baltimore Sun. (*) next to the date indicates that the Baltimore Sun did not report the incident. July 01, 2013 — Abdul Salaam was profiled by two Baltimore Police officers from the Special Enforcement Section, an undercover unit formerly known as the Violent Crimes Impact Section — renamed (or according to Police Commissioner Anthony Batts “dismantled”) after a series of controversial incidents involving officers in the unit. Salaam was pulling up to his home when the unmarked Baltimore police vehicle turned on its lights behind him. The officers inside — Nicholas Chapman and Jorge Ruiz — immediately approached the vehicle and attempted to remove Salaam from his seat by force. From the point in which he was stopped until the point he was placed in the “paddy-wagon,” the officers had violated his rights on various levels: being pulled-over without reasonable suspicion, being searched without consent or probable-cause, demonstrating excessive force, both before and after cuffs had been applied, on both his hands and legs. The entire incident was witnessed by over a dozen witnesses, from youth to elderly who were out front of their homes when the police initiated the stop. Many of the witnesses recorded the incident, the content in this video is only from one. According to documents, the officers said they pulled Salaam over because he did not have his seat-belt on, however Salaam asserts that he did and that in fact when the officers initially attempted to remove him from his vehicle by force, he was being held back by his seat-belt. Even if it were a seat-belt violation, it does not give the officers any excuse to ask to search his vehicle. The officers did not find anything illegal after they themselves illegally searched Salaam’s vehicle. All charges on Abdul Salaam were dropped later. However no actions were taken against any of the officers involved. In fact, little over two weeks later, two of the officers mentioned above — Nicholas Chapman and Jorge Ruiz — were involved in another similar incident. 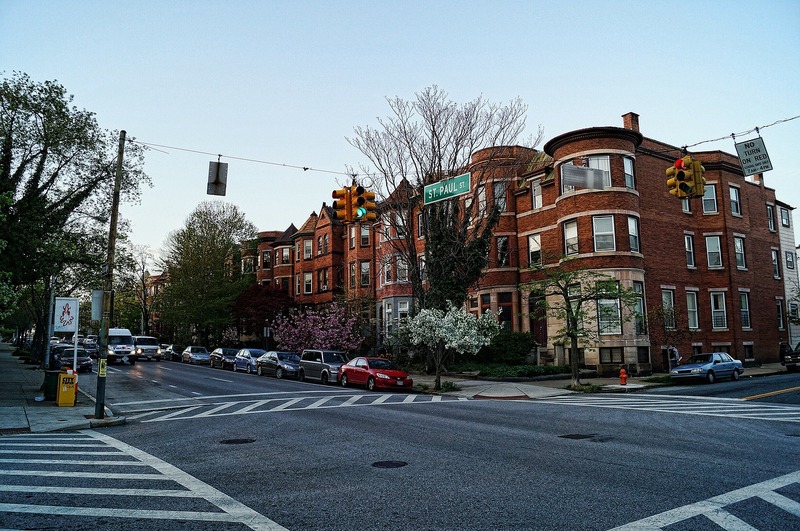 On July 18, 2013, Chapman and Ruiz — who should have been on administrative-leave — were driving around in another residential neighborhood nearby, this time pulling over a man named Tyrone West. According to Police, the officers initiated the stop because West had conducted an illegal maneuver and then was driving suspiciously slow — (in a residential neighborhood, with stop signs every block). According to Chapman and Ruiz, they approached the vehicle and asked for permission to search the vehicle, to which the driver and passenger consented (again, with no reasonable suspicion). However according to neighbors who witnessed the incident, the officers immediately approached the vehicle and pulled West out by his dreadlocks — a scene that sounds very similar to the one that had unfolded little over two weeks prior. According to witnesses, West was attempting to defend himself from aggressive officers who had gone beyond the point of their authority. By the end of the encounter, at least ten Baltimore police officers stood around a motionless body that they had beaten to death. The Baltimore Sun has been aware of Salaam’s experience since November, and has even bee in possession of official documents regarding his case since mid-January of 2014, but has yet to publish anything regarding Salaam — or the connection he has with West. A man was shot by Baltimore City Police because he fit the description of an “armed robber” given by a local homeless shelter. Witnesses state that he did have a gun that he aimed into the air. This is not confirmed. As the man lay “writhing” on the ground the police noted a firearm near him as they placed their crime scene tape around him. A woman, possibly a relative of the shot man, was arrested with no explanation offered. The police have shot five people this year, four in this past month alone. No additional details were forthcoming. Fenton’s narrative is deliberately misleading. While the title of the article states that it will discuss the police shooting of a man, the first two paragraphs deal with a separate, unrelated homicide. By setting the article up as he has, Fenton conjures the image of the brave police valiantly working a homicide, presumably protecting citizens. This helps take the heat off of the police who shot a man who fit the description of an armed robbery, thus, committing the fifth shooting of a citizen by the police this month. Fenton’s tone does not state this as a problematic fact, leaving the reader with the impression that the problem is with the victims rather than the police. Remember – he starts the article talking about an unrelated homicide the police had just come from – which makes it easier to underplay the idea of police actions as problematic. Reading between the lines, in Fenton’s convoluted article, I know that a man (near a homeless shelter – information designed to cast further doubt on the victim) may have looked like a description of an armed robber. Police encountered him. He allegedly had a gun and allegedly pointed it in the air. A friend says the victim was recently robbed and may have had a gun for protection. He did not point at the police. The police allegedly ordered him to drop the gun and then fired six shots – injuring the victim. Then Fenton mentions that a probably female relative of the victim who tried to help the man was taken away in handcuffs. Wait. What? They arrested someone who was a relative of the man who was now “writhing” on the sidewalk while they continued to place the crime scene tape around him. For what? Why? It appears that her crime – witnessing the police action, aiding the victim, or simply getting in the way of dirty cops covering their tracks – required her arrest. The need to control the narrative – to shape the way in which this story is told – is something Fenton does over and over again. The same theme of big brave police being forced to shoot and/or kill a suspect rather than arresting him/her is found throughout his body of work. He is paid by the Baltimore Sun – there is no money or job security in his telling the truth, turning the lens through which he writes into one of questioning police behavior or even one of neutrality. Glaring omissions in this story beg to be told but will never be addressed by Fenton or the Baltimore Sun. – How does the homeless shelter play into this – I know they are inherently unsafe and so do the police. – Is this a homeless man? Because the article implies that he is, and if he is what can this tell us about the relationship that the BCPD have with this population. – Who were the police involved? Do any of them have a history of shooting other citizens or other illegal police behavior? – Are victims of police shootings considered guilty and in need of serious harm or death because no-one will question the very machine built to protect the cops, the city government, the corporations and all of the powerful who have the ability to stop this genocide? This machinery is one that Fenton perpetuates. – RACE. How does Fenton leave this issue out of his articles? Because the police are disproportionately shooting black men in Baltimore. So this story, assuming the victim was black, fits the racial profiling long established by the police here in Baltimore. How do you leave this most important equation out of this story? Baltimore police are involved in a genocide, they are involved in race-based hate crimes. On Wednesday, February 12, 2014, Baltimore Police Department officers shot two suspects in two separate incidents, wounding an unarmed robbery suspect at the Mondawmin 7-11 on Liberty Heights Avenue and killing a burglary suspect in a house on Spence Street in Morrell Park in the Southwest. Details have been spotty from both the Department itself and the Baltimore Sun, which published a confusing, 24-paragraph article from Justin George and Colin Campbell on its website Thursday morning purporting to contain “new details.” We will look at each incident in its own post, starting with the fatal shooting. The Morrell Park Shooting – Police Impersonation? At 10:52 p.m., officers responded to a home in the 1800 block of Spence St. in Southwest Baltimore’s Morrell Park neighborhood for a report of a burglary. As they entered shortly before 11 p.m., officers saw signs of a burglary in progress and encountered two people. Both wore clothes that had the word “police” on them. Police said one of the men had a gun, and the officers yelled several times at him to drop his weapon before both officers shot him. The man, who was not identified, was pronounced dead at a hospital shortly after. No officers were injured. We do not know which, if any, Baltimore Police Department spokesperson or officer gave the information on the first page: that officers believed the man they shot to death was impersonating an officer. We do know that the official, named spokesperson says that detectives did not impersonate police. Readers who did not make it through the first 23 paragraphs of this 24-paragraph article do not know this, however. Police are not releasing the names of any of the suspects or the officers who fired at the suspects. Their names will be released 48 hours after each incident, which is Baltimore police policy. @cmcampbell6 @cwellssun what happened to the 2nd suspect in the 2nd police-involved shooting last night? @BmoreBloc @BaltoSpectator @justin_fenton @cmcampbell6 Update: police PIO says we can't get more info until Monday. Sorry. Smith has been charged with burglary, conspiracy to committed armed robbery, impersonating a police officer, and other related charges, and was being held on $150,000 bond. An attorney is not listed in court records. There is no mention in the Sun’s coverage to date of the discrepancies in what was reported by the official in charge of the Department’s Twitter account and the actual charging documents, nor any mention of the violation of Department policy that occcurred when BPD held back the victim’s and suspect’s name for nearly five days. In my next post I will look at the sparser but more troubling coverage of the shooting of the unarmed suspect in the Northwest. According to Gigi Barnett at CBS Channel 13, the city police department is beginning a new effort to reduce racial profiling. 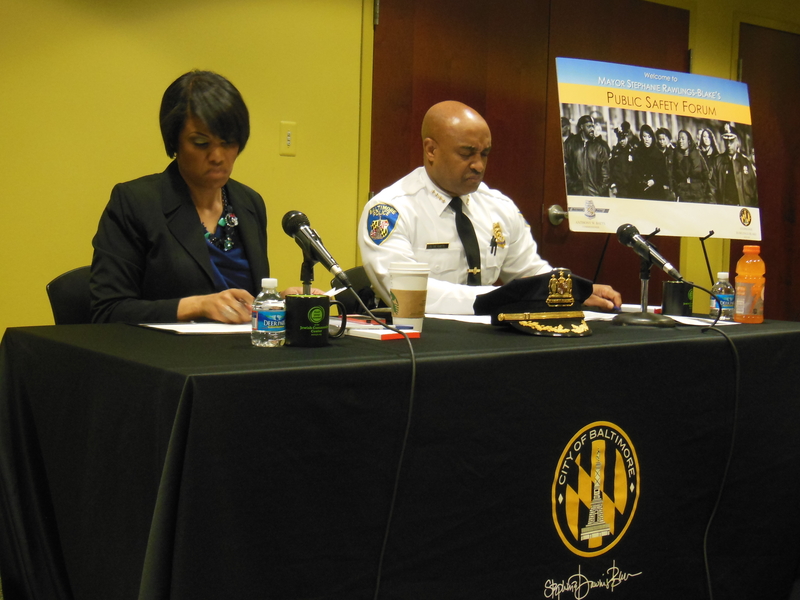 The program is initiative started by Police Commissioner Batts and Stephanie Rawlings-Blake. Read the short article on the CBS 13 website. Essentially the article is a short political write up and a press release by mayor’s office and nothing else. There is no investigative reporting nor any analysis. However, what the article’s title raise one very important question. Is the city admitting that there is a police driven crime problem in Baltimore? Or is the title merely written to bait readers? 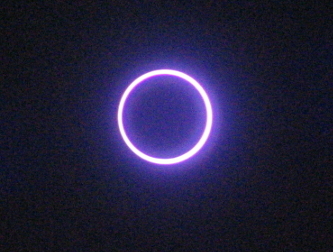 The Baltimore Eclipse is a collaborative project for analyzing media transmissions: how they are put together, and how they reflect & shape our society. We’re going to start out by focusing on the Baltimore Sun‘s coverage of crime in Baltimore City.